Blackview’s latest is another rugged smartphone, but with a smaller 4.7-inch display. 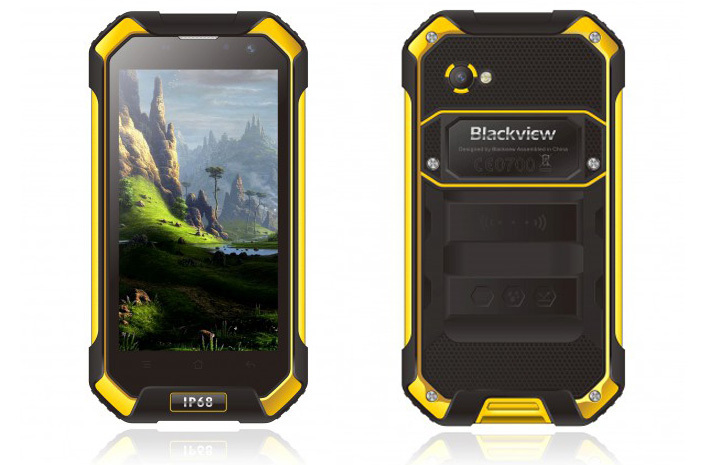 Last year Blackview launched their first rugged phone called the BV5000. The phone was actually well made, and performed rather well and has gone on to becoming quite a popular device for people of all walks of life. If there was one issues with the phone though, it would be the size. A 5.5-inch phone with a thick rugged body means a very large device indeed, so customers called for something a little smaller. So introducing the Blackview BV6000. This new rugged phone offered all the waterproofing and shock protection of the original BV5000, but in a smaller size and more compact 4.7-inch display. The phone remains IP68 approved so you don’t need to worry about dropping it in a puddle, or being ran over, but it also boasts a Mediatek Helio P10 chipset and 3GB RAM meaning its one of the more powerful rugged phones on the market. 32GB memory comes as standard, as does Android 6.0 and a 4500mAh battery which should prove more than enough for the smaller HD 1280 x 720 display. While developing the BV6000, Blackview have managed to boost camera specs on the phone to an 8 mega-pixel front and 18 mega-pixel rear sensor. Other features include GPS, GLONASS support, dual micro SIM cards and FDD-LTE support for bands 800/1800/2100/2600Mhz. Pricing is expected to be around the $200 mark with a launch sometime in Q2 of 2016.